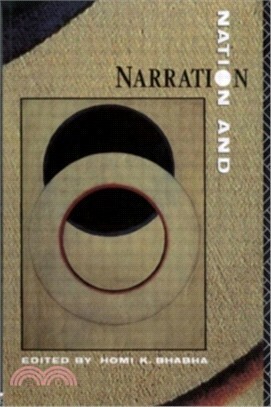 Bhabha, in his preface, writes 'Nations, like narratives, lose their origins in the myths of time and only fully encounter their horizons in the mind's eye'.From this seemingly impossibly metaphorical beginning, this volume confronts the realities of the concept of nationhood as it is lived and the profound ambivalence of language as it is written. From Gillian Beer's reading of Virginia Woolf, Rachel Bowlby's cultural history of Uncle Tom's Cabin and Francis Mulhern's study of Leaviste's 'English ethics'; to Doris Sommer's study of the 'magical realism' of Latin American fiction and Sneja Gunew's analysis of Australian writing, Nation and Narration is a celebration of the fact that English is no longer an English national consciousness, which is not nationalist, but is the only thing that will give us an international dimension. DescriptionBhabha, in his preface, writes 'Nations, like narratives, lose their origins in the myths of time and only fully encounter their horizons in the mind's eye'.From this seemingly impossibly metaphorical beginning, this volume confronts the realities of the concept of nationhood as it is lived and the profound ambivalence of language as it is written. From Gillian Beer's reading of Virginia Woolf, Rachel Bowlby's cultural history of Uncle Tom's Cabin and Francis Mulhern's study of Leaviste's 'English ethics'; to Doris Sommer's study of the 'magical realism' of Latin American fiction and Sneja Gunew's analysis of Australian writing, Nation and Narration is a celebration of the fact that English is no longer an English national consciousness, which is not nationalist, but is the only thing that will give us an international dimension. Many of our textbooks and course books have companion websites offering additional resources to educators and students. Learn more. Are you looking for a local bookseller, sales representative or agent? You can view our global list of representatives to meet your needs and answer any questions. Take advantage now with our free shipping & postage offer on all US orders over $35 and UK orders over £20. Learn more about our shipping costs.